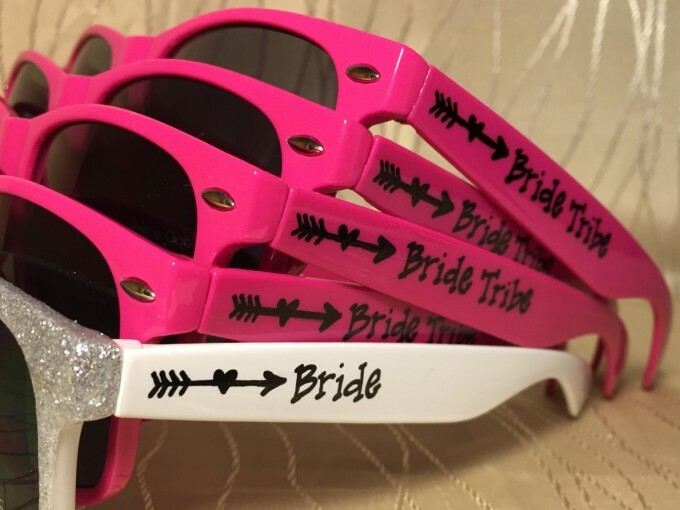 Cute Sunglasses for Bachelorette Party - "Bride Tribe"
Do you have a beach bachelorette party coming up? Do you want to give your bridesmaid the cutest bachelorette party favors they will actually use and enjoy? 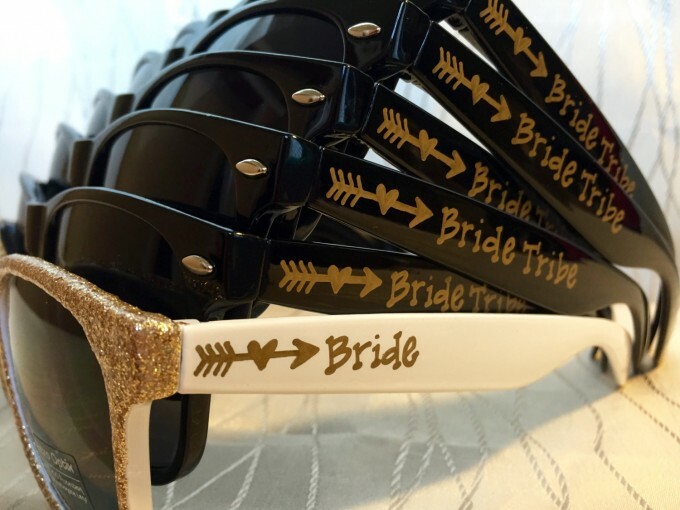 These bride tribe sunglasses fit the bill perfectly! Unlike other bachelorette sunglasses with personalized stickers on the side, each pair is handwritten. This is to ensure the writing won’t wear off or peel away mid-party. 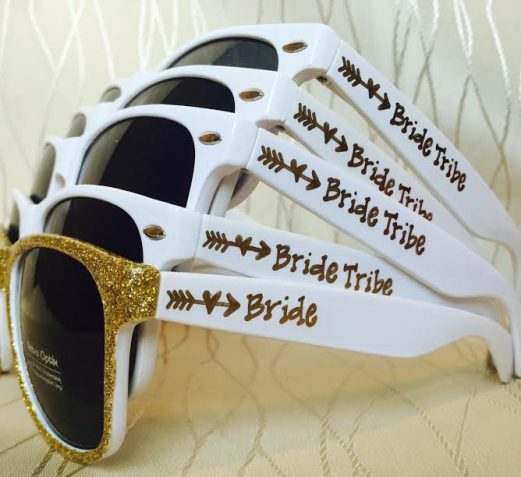 The sides of your sunglasses can say anything you’d like with “Bride Tribe” as one example. Put your bridesmaids’ nicknames, a funny slogan or hashtag, or simply each girl’s name. 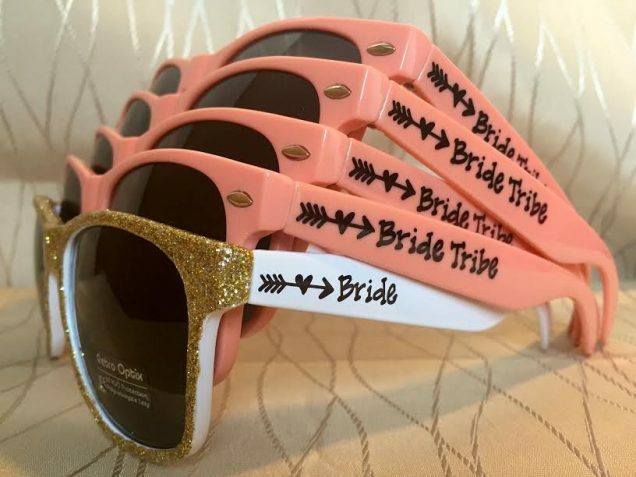 Check out our favorite bride tribe sunglasses from Green Bridal Boutique below, our source for wedding sunglasses and bachelorette party sunglasses of all kinds. This particular style is today’s handmade-a-day wedding pick! Enjoy! 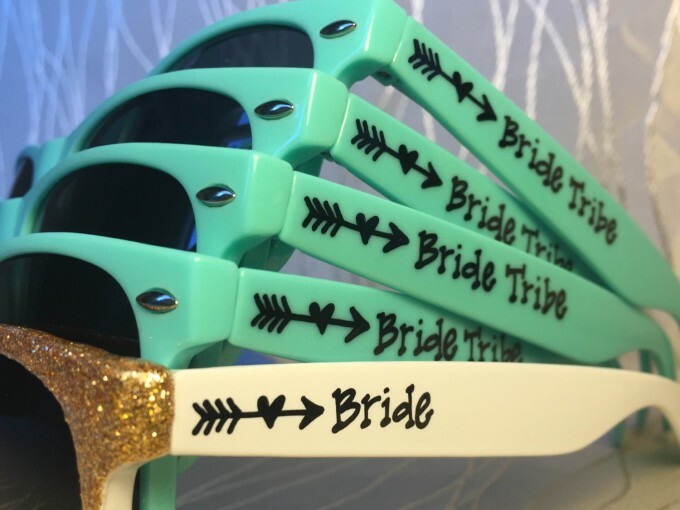 To get your sunglasses for an upcoming bachelorette party or wedding, visit Green Bridal Boutique, Featured Artist at Emmaline Bride! P.S. Don’t miss this article on How to Plan an Awesome Beach Bachelorette Party! Should You Send Rehearsal Dinner Invitations?